In this article, we will learn how to transfer programs, settings, accounts and all files from one computer to another using a network share, a NAS, a SAN or any other shared storage. As opposed to direct network transfer, this approach allows to complete a transfer even if the source and target PCs are not in the same location, are not available at the same time or cannot communicate directly. Of course, just copying files to a network share would not do us too much good, since that does not work for transferring programs or their settings - just for raw files. Instead of that, we'll be using Zinstall Migration Kit Pro to capture the original computer to a network share, including its applications, profiles, settings, documents, pictures, music, movies, favorites, wallpaper and everything else. Then, we'll use the same product on the target computer to restore everything to it. Note that this works even for different Windows versions and across different hardware. For example, transferring from a Windows 7 or Windows 10 32bit HP to a Windows 10 64bit Lenovo is fully supported.. The transfer is done in two steps. Step 1 is to capture everything from your old computer to the shared storage. Step 2 is to deploy everything from the shared storage to your new computer. Download and run Zinstall Migration Kit Pro on your old computer. On Target selection, browse to your network storage location, and give the backup container a name that you'll remember. Start the capture process. This should take a long while, and you will see a message confirming that the backup container has been created successfully. Your stuff is now safely stored on the network share. Once everything is on the shared storage location, it is time to restore your programs, settings and files to your new computer. To do that, run Zinstall Migration Kit Pro on the new computer, and use the 4th option, "Moving from Container to Machine". Point it to the backup container you've created in the first section, and it will restore everything, including programs, settings and files, to the new computer. That's it - you have copied your programs, settings, profiles and data to your new computer using shared network storage, and it's ready for use! Ready to transfer files and programs using shared network storage? 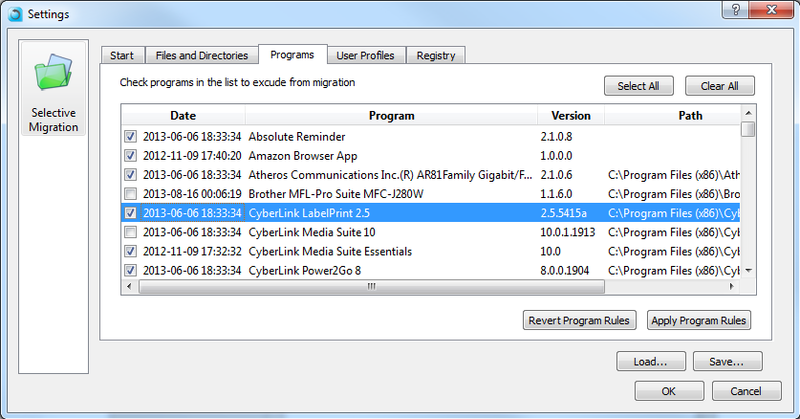 Get Zinstall Migration Kit Pro here. Any questions? Need guidance? Looking for help with your transfer? Our expect techs are standing by! We are looking forward to assist you.